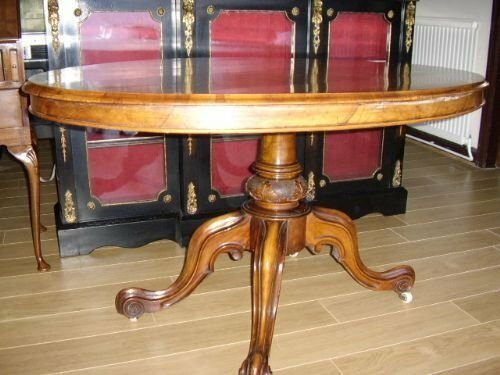 A fine example of a mid-victorian 6 Seat Dining Table,veneered in Burr-Walnut and being beautifully french polished,with a solid mahogany turned pedistal column supporting four escaloped carved legs. 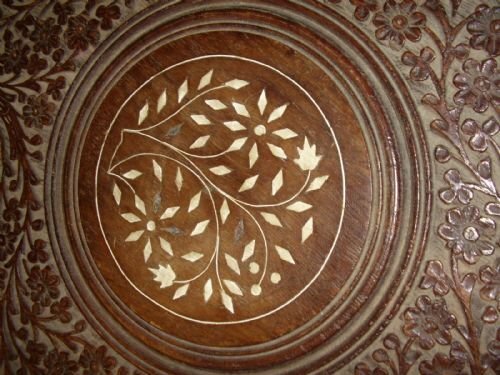 Length 54 Inches x Width 39 Inches. 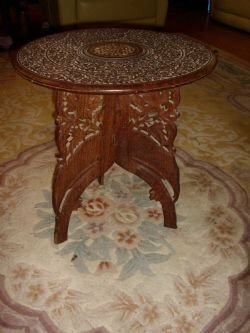 The table stands 29 Inches in Height. 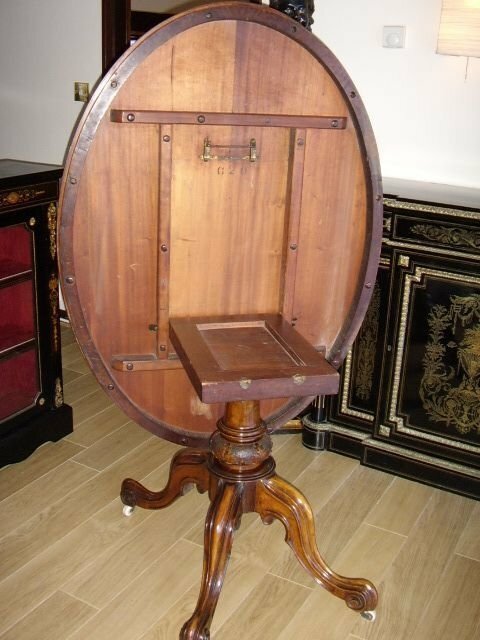 A fine example of an early carved rosewood occassional lamp table,finished with ivory inlay and having a removable tripod folding leg assembly. 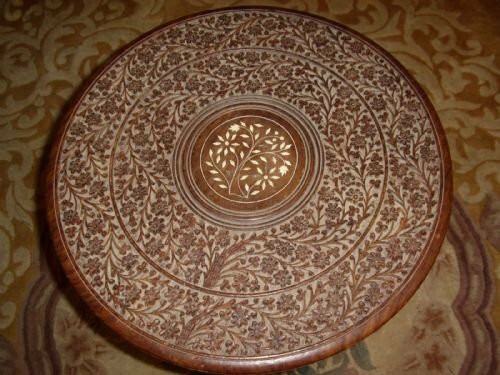 The table top is intricately carved with a pattern of floweres,finished in deep relief,with a rich rosewood reddish brown colouring throughout. 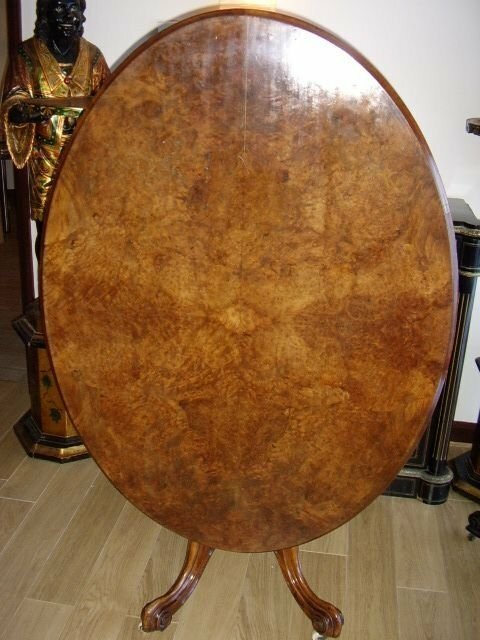 There is the outline of three elephants seen in the silouetted construction of the folging legs. 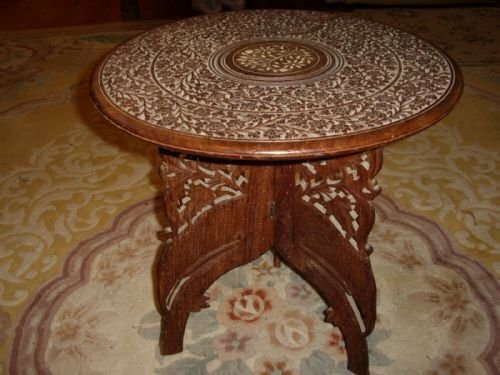 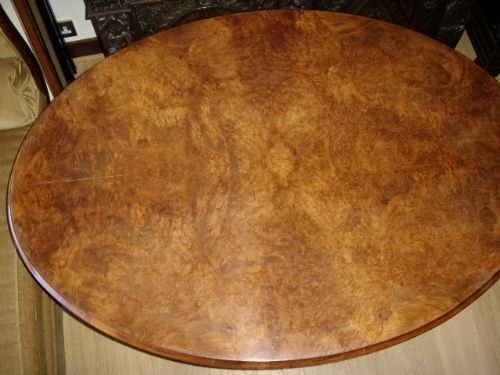 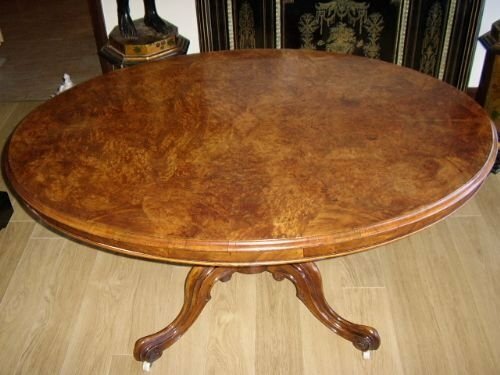 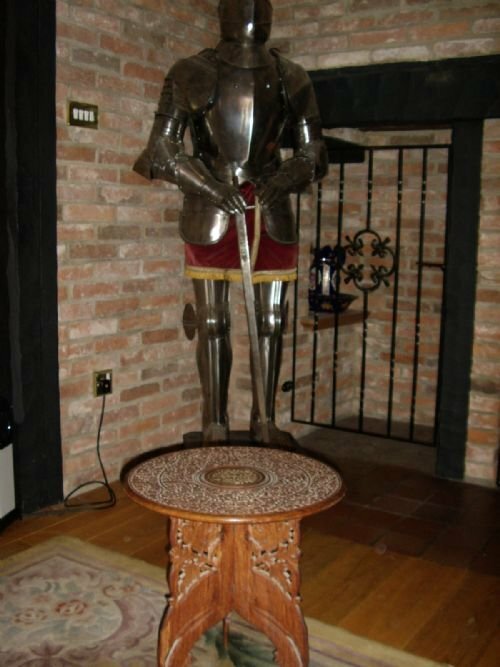 The table is in good condition with no splits of surface damage to the carvings.